On April 4th, selected Chargers fans met with Dean Spanos and other Chargers representatives for an hour and a half to discuss a ballot initiative to fund building a stadium. Dan Jauregui, better known as “Boltman”, was among the invited guests. Here are his observations. April 9, 2016 (San Diego) -- The start of the meeting entailed in-depth information regarding the Goldman Sachs finance plan. We fans received a better understanding in layman’s terms of all the players and entities involved. 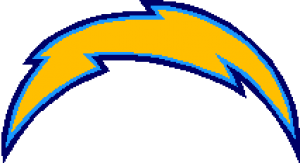 January 20, 2016 (San Diego) - The LA Times reported on Tuesday that the Chargers filed for the Los Angeles Chargers and the L.A. Chargers trademarks. These cover every piece of team merchandise, as well as memorabilia, jerseys, etc. January 14, 2016 (San Diego) -- The 32 NFL owners met on Tuesday and voted to determine the future of professional football in Los Angeles, which in turn has large implications for St. Louis, Oakland and San Diego. January 13, 2016 (Houston, Tx.) - It's over. January 4, 2016 (San Diego) - You know, I'm going to be honest, I never actually thought that this would happen. February 3, 2015 (San Diego) - After a career that spanned 146 games as the Chargers’ starting center, including 10 postseason contests, on Tuesday Nick Hardwick announced his retirement from the National Football League.